I'm listening to my CD collection in alphabetical order by album title. Further is one of those famous “I bought it used, very cheaply, because I heard it was really good” albums. It sat around for years unplayed, but about a year ago I decided to check it out, and immediately it became a favorite. 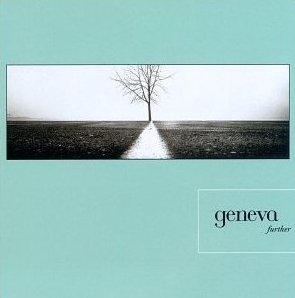 If a band could be described as soaring, Geneva certainly is that. The music is a bit 90s sounding, but is of high quality. The music reminds me of Travis or early Radiohead. The singing is quite unique – I’ve seen it referred to somewhere as choir boy, which is an apt description, in the best sense of the word. It’s great to sing along to, good for working, and immediately mood-boosting. This album has gotten me through some miserable times.